Today, Bristol Old Vic introduced the Head Chef for its brand new 1766 Bar & Kitchen and announced a menu fit for the new era. 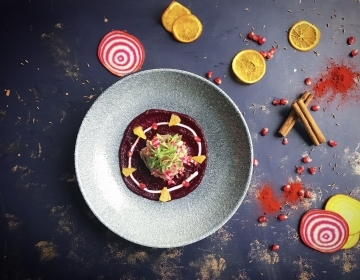 1766 Bar & Kitchen will be a new social hub for Bristol, serving up everything from morning coffee right through to evening pre-show dining with a menu inspired by the theatre itself. It will form part of the theatre’s multi-million pound redevelopment which will open its new front doors on Monday 24 September. Introducing Coco The Chef Having worked in restaurants across Europe, five years ago Coco Barone stumbled upon and fell in love with Bristol. After time working at restaurants including Glassboat and Rosemarino, we’re thrilled to welcome Coco as our new Head Chef to 1766 Bar & Kitchen. 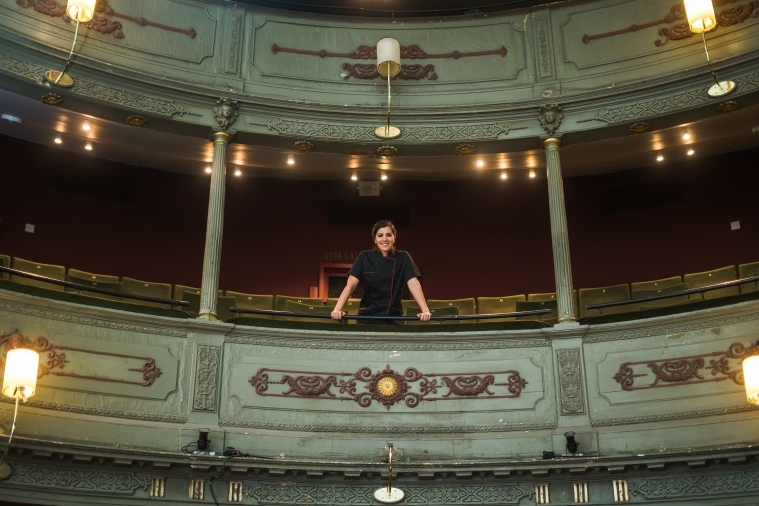 “I’m really excited to be working at Bristol Old Vic and opening a brand-new restaurant there. It’s very rare to get the opportunity to work in such an historic and creative environment with such a passionate team. We can’t wait to get into our kitchen and start cooking”. Expect delicious breakfast options, served six days a week, including dishes such as waffles fresh of the press, smoked streaky bacon and maple syrup or the tasty vegetarian option of fried halloumi, smashed avocado and roasted vine tomato on chargrilled turmeric and chilli bread. At lunchtime, you’ll be able to choose from our daily changing salad bar, tapas menu or our set Theatre Menu priced at £9.95 for one course, £13.95 for two courses or £17.95 for three. Our Theatre Menu will also be available for pre-show dining which is on sale now. In the evening, our 1766 Menu will offer a more extensive three course prix fixe including dishes such as Homewood Cheese Ewes curd, pickled beetroot, hazelnut crumble and orange to start and 28-day dry aged Sirloin of Hereford beef, beurré 1766, fries and baby gem to follow. At Bristol Old Vic we will be taking our Sunday lunchtimes very seriously, with a choice of three roast meats all accompanied by roast duck fat, rosemary and garlic potatoes, Yorkshire puddings, seasonal veg and finger licking good gravy. A gluttonous dessert menu will finish it all off nicely and we will always have a vegan roast option available. 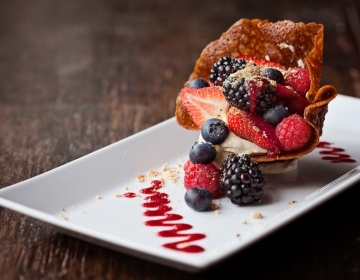 Pre-show dining returns to our theatre following the grand reopening this September. Meal bookings for Touching The Void are available here.